Increasing evidence has suggested that major depressive disorder (MDD) is highly associated with brain-derived neurotrophic factor (BDNF) levels, dendrites atrophy, and loss of dendritic spines, especially in emotion-associated brain regions including the hippocampus. Paeonol is a kind of polyphenols natural product with a variety of therapeutic effects. Recent studies have reported its antidepressant effects. However, it is unclear what signaling pathways contribute to improve MDD. The present study investigated the effect of Paeonol on hippocampal neuronal morphology and its possible signaling pathways in chronic unpredictable mild stress (CUMS) rat model. 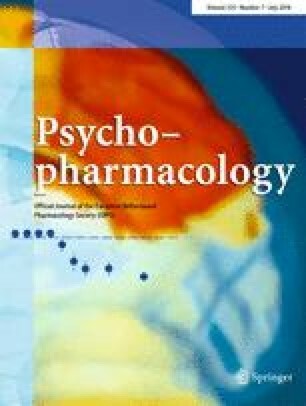 Using CUMS rat model, the antidepressant-like effect of Paeonol was validated via depression-related behavioral tests. Neuronal morphology in hippocampal CA1 and DG was assessed using ImageJ’s Sholl plugin and RESCONSTRUCT software. BDNF signaling pathway-related molecules was determined by Western blotting. Paeonol attenuated CUMS-induced depression-like behaviors, which were accompanied by hippocampal neuronal morphological alterations. After Paeonol treatment for 4 weeks, the dendritic length and complexity and the density of dendritic spines markedly increased in the hippocampal CA1 and the dentate gyrus (DG). However, CUMS or Paeonol treatment does not selectively affect dendritic spine types. Simultaneously, administration of Paeonol deterred CUMS-induced cofilin1 activation that is essential for remolding of dendritic spines. The induction of CUMS downregulated BDNF levels and upregulated Rac1/RhoA levels; however, the tendency of these was inhibited by treatment with Paeonol. Our data suggest that BDNF-Rac1/RhoA pathway may be involved in attenuation of CUMS-induced behavioral and neuronal damage by Paeonol that may represent a novel therapeutic agent for depression. The online version of this article ( https://doi.org/10.1007/s00213-018-4915-7) contains supplementary material, which is available to authorized users. This work was supported by the National Natural Science Foundation of China (No. 30470537), the Natural Science Foundation of the Department of Education, Anhui Province (ZD2008006-1), the Innovation Team of Scientific Research Platform in Anhui Universities, and the Provincial Key Laboratory of Biotic Environment and Ecological Safety in Anhui.